Delaware Arts Info: Candlelight (Re)Introduces You to the Classic, "The Music Man"
Candlelight (Re)Introduces You to the Classic, "The Music Man"
New Candlelight Theatre's production of The Music Man. Meredith Wilson was born in Mason City, Iowa in 1902 and played flute in John Philip Sousa's band from 1921-1923. He went on to a full and successful career in music, radio and film. This background and experience was clearly the inspiration behind his biggest hit – The Music Man. Fortunately, the good people at The Candlelight Theatre in Arden are able to transport us back in time to enjoy a summer of pageants in the small town that grows to to accept and even live the con man. The con man – "Professor" Harold Hill – is portrayed pitch-perfectly by Bob Miller. Through Miller, the audience can see the gears turning as he charms the town's women and convinces the men to join voices and divert attention away from his lack of credentials. While the town's transformation occurs at a steady pace throughout the production, Hill's growth is more of a slow burn that reveals itself late in the second act. The primary inspiration for that growth is the town's librarian and legitimate music teacher, Marion Paroo, played by Lauren Krigel. She exudes strength, smarts and clarity, seeing through Hill's deceptions, but also seeing a way to challenge him into becoming more than he expected. The more than 20 cast members bring River City to life with voices and choreography that fills the entire theater space. The heart and soul of The Music Man is, of course, music. With such iconic songs as Trouble, Seventy-Six Trombones, Gary, Indiana and Shipoopi (to name a few), the audience finds itself smiling and toe-tapping during the production. Whether you've seen the film, enjoyed the cast album or have yet to experience Meredith Wilson's masterpiece, you should make your way to Arden to enjoy this fun production (and tasty buffet dinner included with your ticket price). 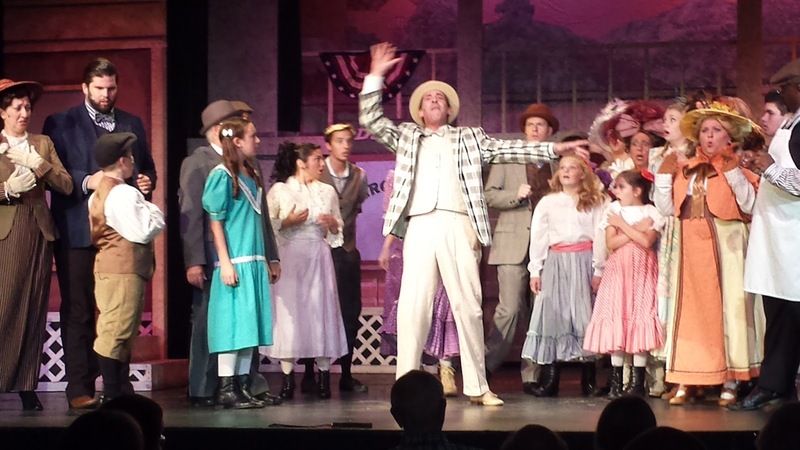 The Music Man plays through August 28 at The Candlelight Theatre.